Social internet radio platform Soundtracker has added new features which promise to make it far easier to discover new music and personalize the service to your own musical taste. 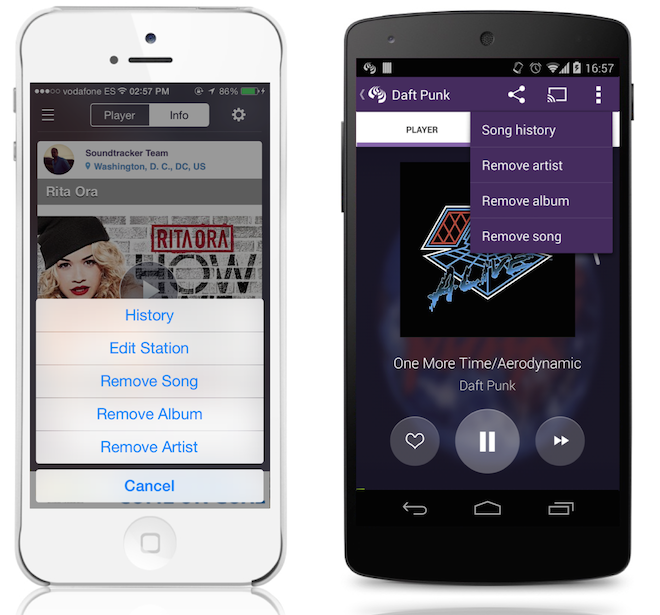 Available now, the updated iOS and Android apps allow greater customization of each station- such as allowing for specific artists, tracks or albums to be added or removed – and also promises “auto-discovery” of new music as users “move around through the day”. The newly discovered tracks can then be used as a jump-off point to find out more information about the artist or song, find YouTube videos, start a new Soundtracker station and more. Rounding off the list of mobile updates is an improved social experience, which now allows direct access to music played from user profiles, as well as a list of each station’s listeners and ‘likers’.